Ferris Wheel views of Kissimmee as far as the Eye can see! 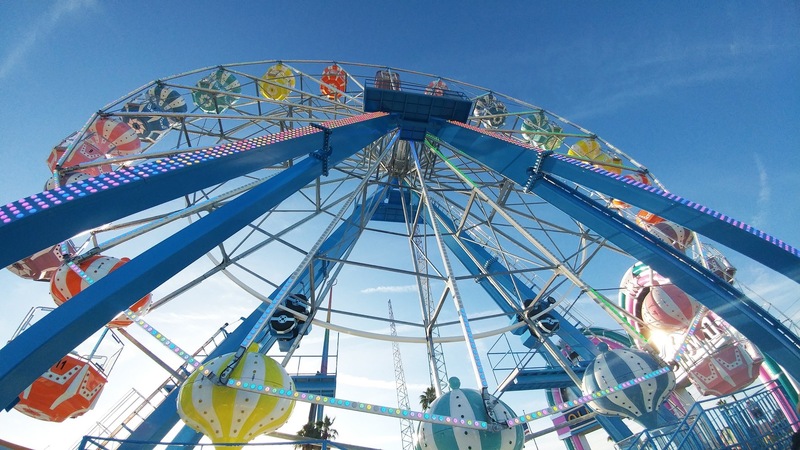 Soaring over Highway 192 is Old Town’s new Ferris Wheel. Come and take a spin on this custom made Ferris Wheel from Italy featuring 18 gondolas that seat six each. As you reach the top, take in spectacular views of Kissimmee and nearby Orlando attractions from over 85 feet in the air. Once the sun goes down, watch over 6,000 LED lights dance in a festive displays illuminating the night skies.